Monaco is a small principality in the South of France, with a harbour full of luxurious yachts; and people trying to win enough money to buy one, in the casino of Monte Carlo. Monaco Travel and Tourist Information with links to official travel and tourism websites and state resources for visitors to Monaco. 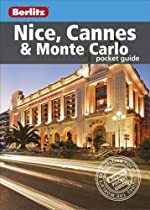 Around Monaco and Monte Carlo, Away From The Coast, Language of Monaco, Map of Cote d'Azur, Monte Carlo, Riviera Travel Guides. Although many visitors do stay in Monte Carlo, especially during the Grand Prix weekend, most just visit the principality for the day. The house of Grimaldi, originally from Genoa, have been the hereditary rulers since 1297; although they were dispossessed during the French Revolution. In 1861 Monaco was restored as an independent principality, under the protectorate of France. Under a 1918 treaty, Monaco was to lose its sovereignty and be incorporated into France if the reigning Grimaldi prince died without leaving a male heir. In changes made to the constitution in 2002, if Prince Albert II (who succeeded Prince Rainier III after his death, in April 2005) does not have children, the throne will pass to his sister Princess Caroline. The official language of Monaco is money - sorry, French. Important dates in the history of Monaco. Some nine centuries of family history stretching back to Genoa. A photo story that takes you around the curves of Monaco's famous street circuit. The paper that is read along the coast, and even in Provence, has a Monaco news section. Only in French though. Discover Monacos many unique sights and highlights. Check out great restaurants, shops, hotels, local events and news. Uncover inspiring tour itineraries and bid on exclusive travel packages. The French Riviera can get crowded in the summer, and eat up your funds fast. Get away from the casinos and the beaches, and discover the regions beyond the Riviera. Alphabetical listing of the charming villages. Get to grips with the basics, if you didn't learn it at school. The French Riviera - Cote d'Azur.